Nikki White has published the first in a series of children’s books teaching dance and movement in fun and creative ways. Prima the Ballerina books inspire dancers of every age to get their bodies moving, and their imaginations going. The books can also be used as a teachers guide for pre-ballet and creative movement classes. 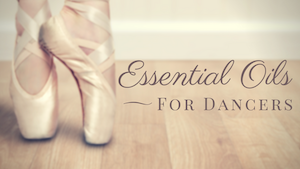 Today, Nikki is sharing a video that’s useful for any dancer but especially for students who are preparing for pointe work. Enjoy! I’m always asked about feet strengthening exercises, particularly with pointe work in mind. We tend to focus on our larger, more superficial muscles (extrinsic muscles) and forget about our smaller, deeper muscles (intrinsic muscles). Our feet are made up of 26 bones, 33 joints, and over 100 muscles, tendons, and ligaments! So even though this exercise may not look like much, it is extremely valuable. When you are doing an adagio in center and you’re trying to find balance on your standing leg, your foot is making all these tiny movements and adjustments to keep you from falling over. The same thing is happening when you’re on pointe, it’s not just your foot and calf keeping you up there. All those tiny proprioceptive muscles are firing and switching off and on trying to support your weight and maintain your balance. Now, even though the towel exercises in this video I’m sharing are focused just on the feet, at the end, I touch on pointing your feet with your whole body. When I haven’t had my pointe shoes on in a while and I take class on pointe, my entire body is tired afterwards- not just my feet. It’s the same way when you jump with your whole body and lift your hips instead of trying to do it all with just your legs. Everything is working together and you’ll find that even in your hardest movements, if you take the focus out of one area and ask your whole body to be engaged it will be easier to do and more coordinated. We strengthen these tiny muscles so that when they’re asked to be part of the whole picture, you won’t even have to think about them, they will know how and have the strength to fire on their own! What are some other ways to use a towel for strengthening? Do you have other favorite household items that help you in dance? That quote “you’re not just posing” is great!